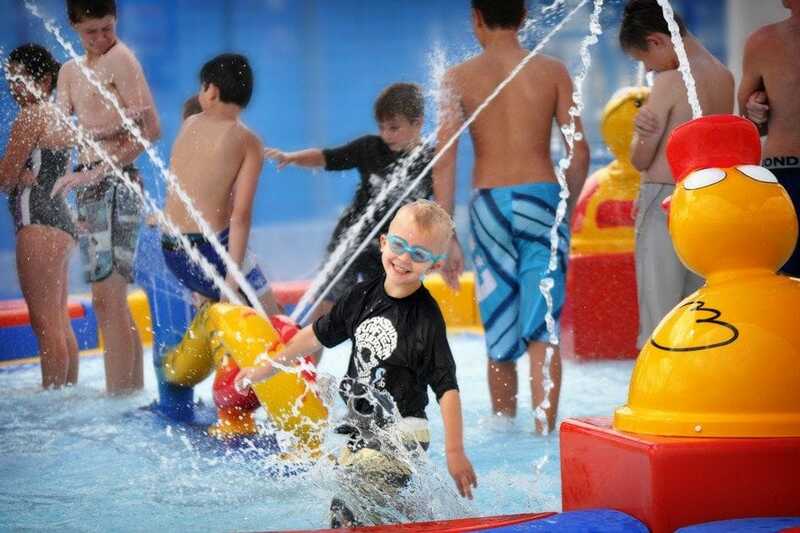 Do as little or as much as you like at the Moree Artesian Aquatic Centre (MAAC), Moree's major tourist attraction home of the Artesian Water, FINA Standard Olympic Pool, Commercial Gym, 10m high Waterslide and Children's Waterpark. Or Take the time to relax, re-energise and recuperate at the newly developed Moree Artesian Wellness & Day Spa. We all know that soaking in our Artesian pools leaves you feeling amazing - ever wondered why? There is a growing bank of research evidence backing up the century old health claims associated with bathing in mineral waters - Balneology is the scientific study of the therapeutic benefits of naturally occurring mineral waters. In Australia, this science is not very well known, and is even less seldom practised. Balneotherapy allows for the transdermal absorption of varied minerals such as sulphur and magnesium typically found in Artesian water. These minerals are said to nourish the organs of the body and in turn aid the body to fight illness and repair tissue damage. It is of common belief that balneotherapy can help with many health conditions including arthritis, musculoskeletal pain and respiratory disorders. Why not come and try it for yourself, the Centre is open daily, closing only on Christmas Day and the last week of July each year. Day passes and mulitple visit passes avaliable. Wellnes Retreat, Gym & Swim, Group Fitness and Extras avaliable. What a great way to spend your time in Moree! Rest and rejuvenate in an ambience created by nature at the Mungindi Swimming Pool Complex. Located 120km north west of Moree on the Carnarvon Highway come and enjoy our local hospitality! 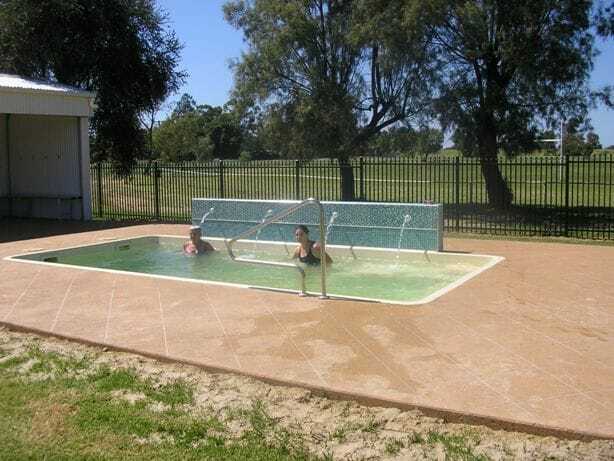 Facility also includes a 33m cold pool and a small toddler's pool. Opening Hours are varied with each season, so please enquire at Moree Tourism for opening hours. Located in the quiet village of Boomi approximately 90km North West of Moree and 80km west of Goondiwindi is the quiet and uncrowded Boomi spa and swimming pool complex. It is a terrific place to relax either in the water, on a poolside lounge or on the lush green lawn under the shade sails. Boomi hosts a 25m cold pool; wading pool and a hot Artesian spa pool. Hot Artesian water is also added to the cold pool to help reduce the shivers a little! The mineral rich hot water flows from nearly a mile underground from the Great Artesian Basin. Disabled toilet/shower facilities available. BBQ and tennis court right next door. For Summer opening times and fees, please contact the Pool Superintendant on (02) 6753 5336.